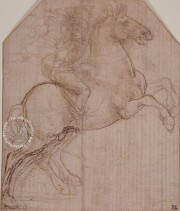 The numerous drawings that are preserved in Great Britain today represent techniques and functions: from the preliminary sketches to the most complete cardboard (unique case in his work), some drawings are produced with meticulous lines and checked, while others seem jotted down in few seconds. 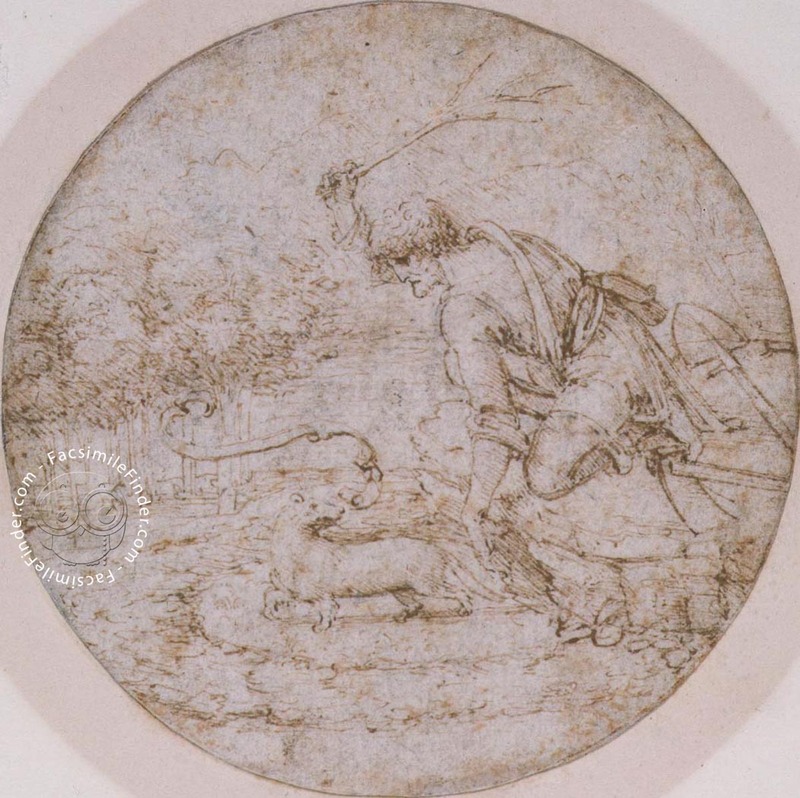 The subjects go from nature studies to fantastic compositions, from profane allegories to religious compositions. 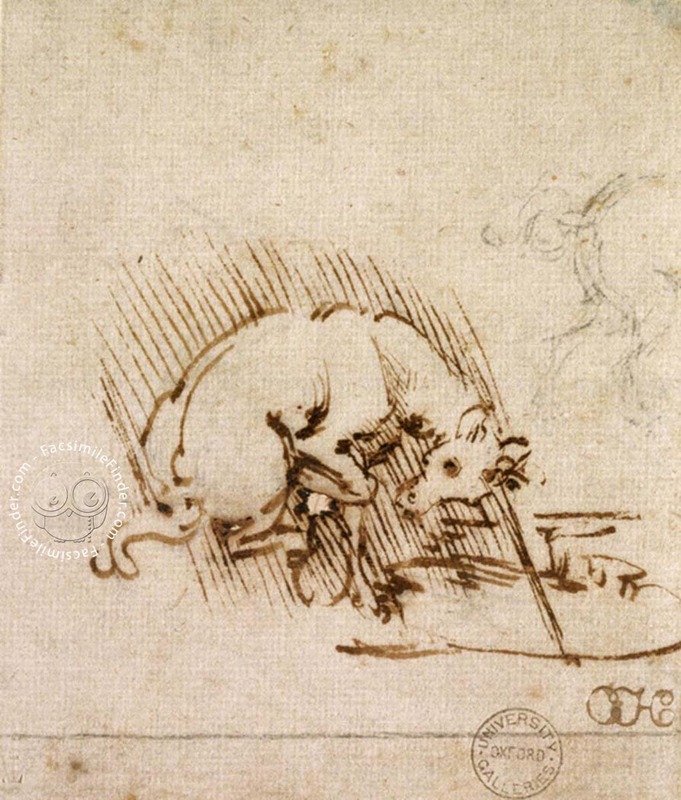 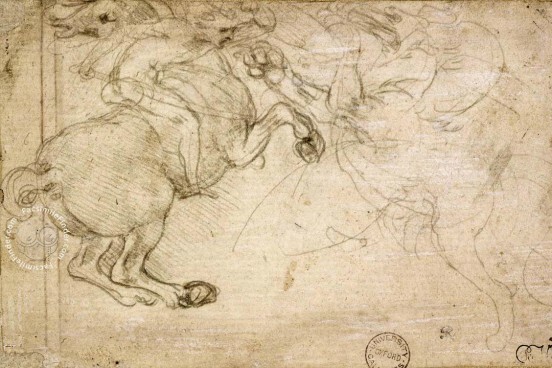 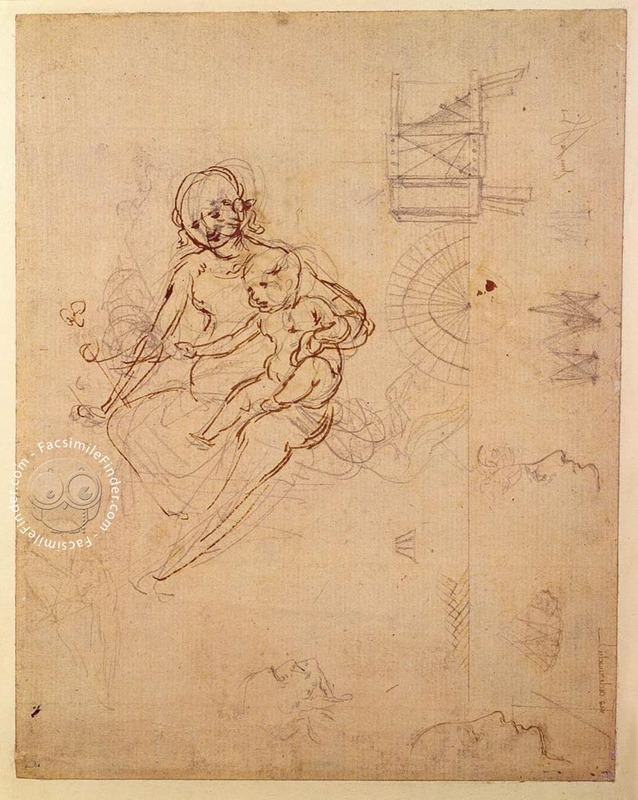 The greatest part of the drawings is connected with works of art, but some represent technical and scientific studies, that, generally, constitute the base for a thematic evaluation of the creative procedures of Leonardo, from “random” inventions, to the systematic repetitions of motives. 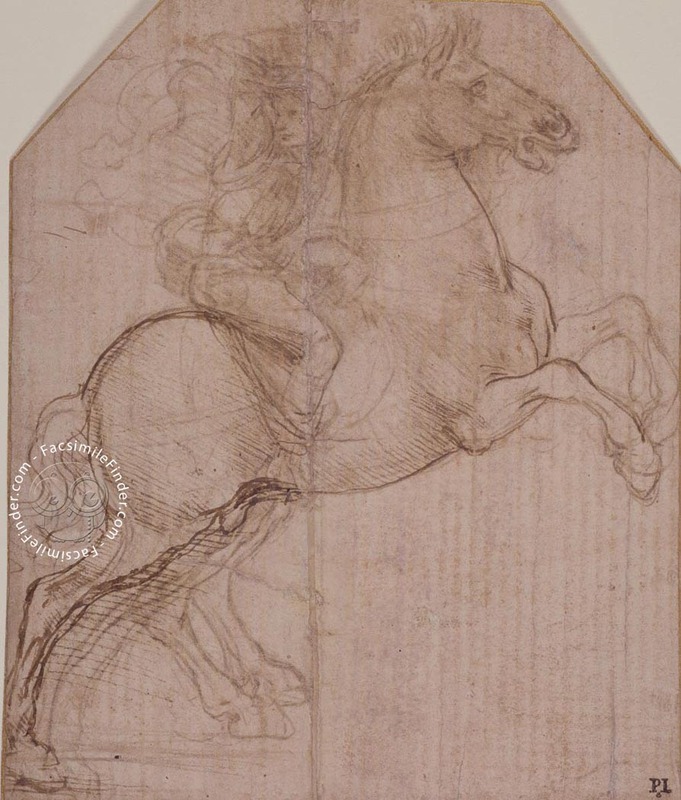 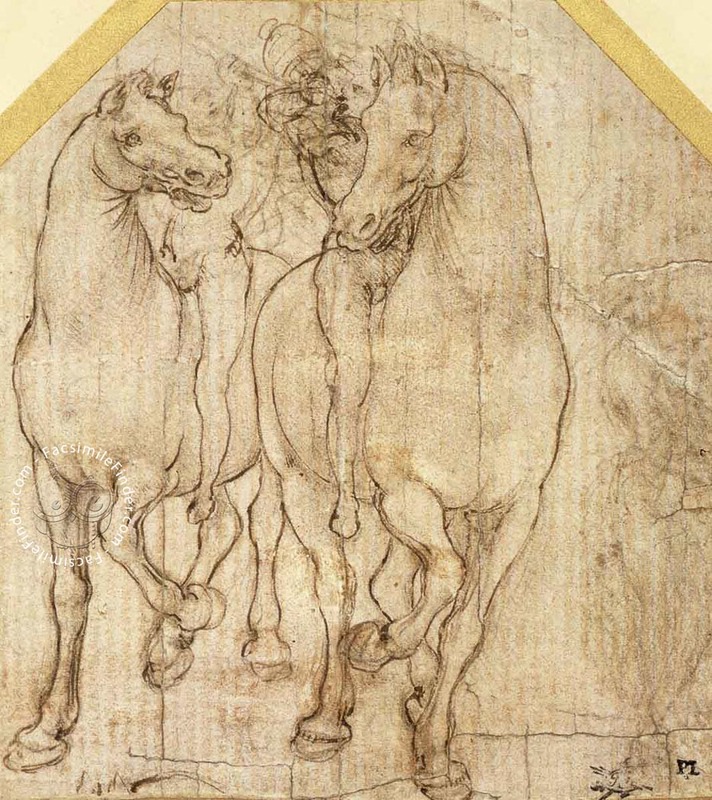 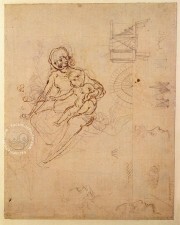 The drawings of the catalogue, 139, can be devided in around seventy of Leonardo, and others by his followers or of connected artists. 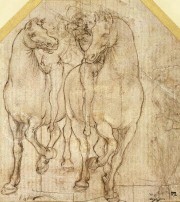 The facsimiles are accompanied by a volume of studies signed by Martin Kemp and Juliana Barone, two among the most authoritative researchers of Leonardo of the world, and provided with over one hundred images of comparison, while Catherine Whistler of the Ashmolean Museum in Oxford and Antony Griffiths of the British Museum in London inform us on the collections of the respective museums. 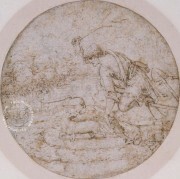 The bibliography, by Uta Kornmeier, completes the catalogue.